If you're like us, than sometimes you can't think of anything worse than battling the loved-up crowds to find a spot at a jam packed restaurant, which may or may not have jacked up the prices for their "special" Valentine's Menu. That's why if you're in the mood to spend a nice care free but at the same time delicious night at home, we've picked the most popular take-out styles and matched wines to them – you can thank us later. Enjoy your feast! Sydney: Arthur's Pizza Paddington. 4.5 stars. Melbourne: Mojo Sport. 4.3 stars. Brisbane: Il Posto. 4.6 stars. 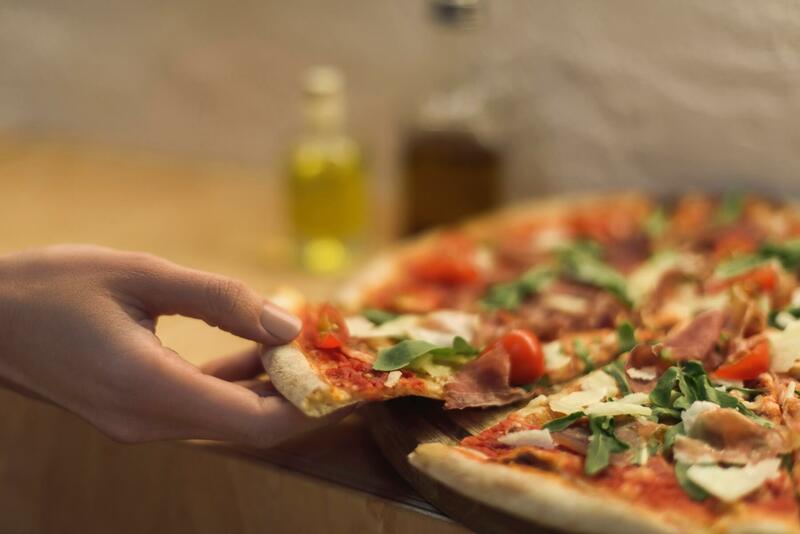 No surprises that Pizza is pretty much the number one takeaway dish in most cities in the western world. But what to drink with it? Obviously, you can change this up depending on the main base sauce on the pizza, but let’s assume you’ve got the classic tomato sauce base. We’re aiming here for something that has enough acidity to keep up with the acid in the tomatoes (without overwhelming it) and then has enough punchy flavour to go head-to-head with whatever the pizza is topped with. The result – the balanced yet powerful Sangiovese! With plenty of red fruit, a dusting of herbs and a savoury finish, this is just the ticket for your margarita or pepperoni. Nebbiolo will work nicely as well but is probably less versatile in the flavour stakes. Sydney: Indian Leaf. 4.5 stars. Brisbane: Mirchh Masala Impex. 4.5 stars. 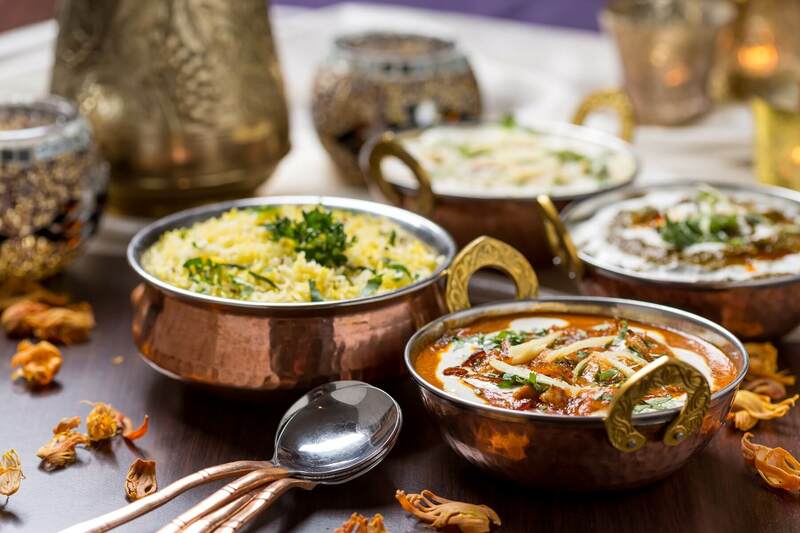 One of a couple of styles of popular takeaway that likes to bring the heat (see also Thai – below), the range of spices in traditional Indian food can be troublesome for wine. To counteract this, we’ve gone for a wine that has a good hit of cinnamon/white pepper heat itself, as well as medium body and really strong fruit flavours – we’re talking about Grenache! The sweet red fruit and the supple but powerful body of Grenache give it enough power to stand up to anything a rogan josh or a tikka masala can throw at it. The Gamay-based wines of Beaujolais will also work wonders, although probably can’t handle as much heat. Sydney: Nung Len. 4.5 stars. Melbourne: Thai Thani. 4.5 stars. Brisbane: Khot Thai. 4.6 stars. You thought Indian was hot? Wait until you feel the sweet heat of a birdseye chilli or a savage jungle curry (made without the cooling effects of coconut milk). 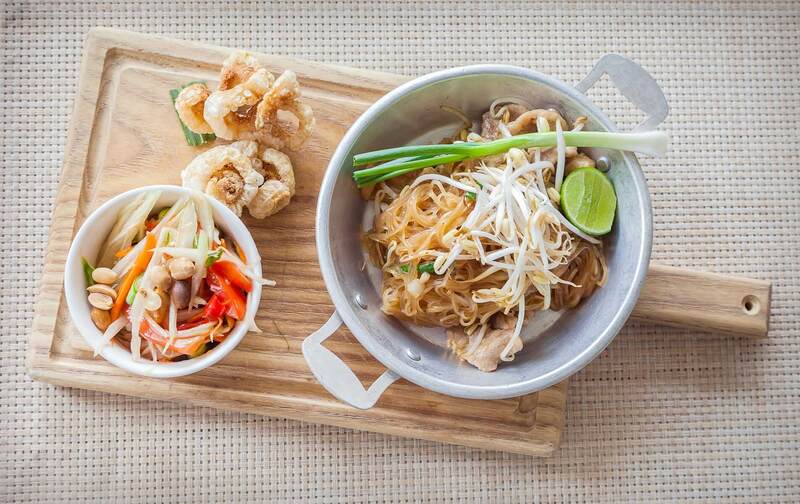 Thai food can be some of the hottest around, and this means we’re going to have to take extreme measures to balance it and find the perfect wine. The cure? A nice little tickle of sugar to round off that chilli, but with generous acidity as well to carry all the flavour. We’re plumping for off-dry Riesling here (with Gewurztraminer as a back up). The plush sweet citrus notes of the Riesling will be heavenly with lemongrass, kaffir lime and Thai basil, and the sugar that has been left in the wine will just soften the hit of chilli enough to make both the dish and the wine sing. Sydney: Burgers Anonymous Balmain. 4.5 stars. Sydney: Big Daddy's Burger Bar. 4.5 stars. Melbourne: On It Burgers. 4.6 stars. Melbourne: The Beer And Burger Bar. 4.6 stars. Brisbane: Ben's Burgers. 4.6 stars. Grill’d? Rockwell and Sons? Belles Hot Chicken? 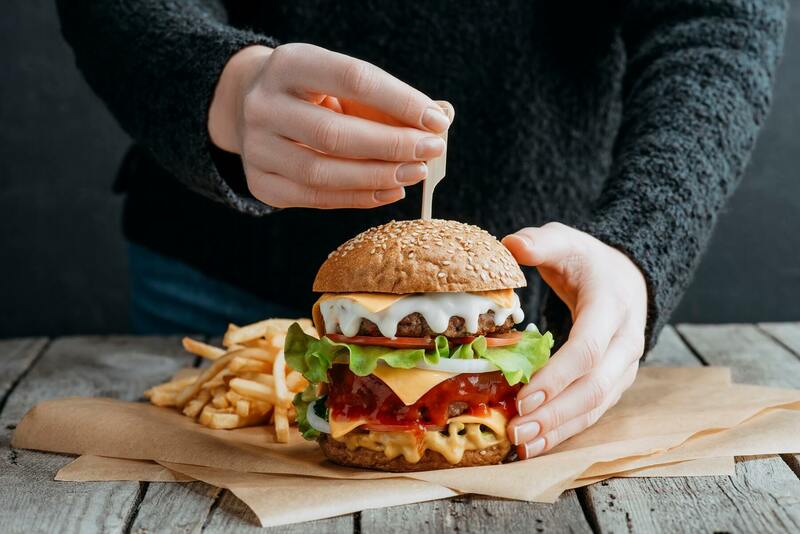 Sometimes there’s nothing better than a burger. Whether you’re slingin chicken or beef, we’ve got the right wine for you. The full texture and lemony acidity of Chardonnay will be the perfect foil for your poultry burger – the acid carving through the richness (and the batter if its fried! ), with just enough weight to balance out the meat. For a richer beef burger, let us amp it up a bit and head to cool-climate Syrah territory – the signature pepperiness of this style of wine will be great with any marinade on the beef, and the fruit weight is a bit more intense and so should harmonise nicely with the meatiness. Sydney: An Nam Cafe. 4.4 stars. Melbourne: Saigon Street Eats. 4.6 stars. Brisbane: An Cafe Vietnamese Street Food. 4.6 stars. 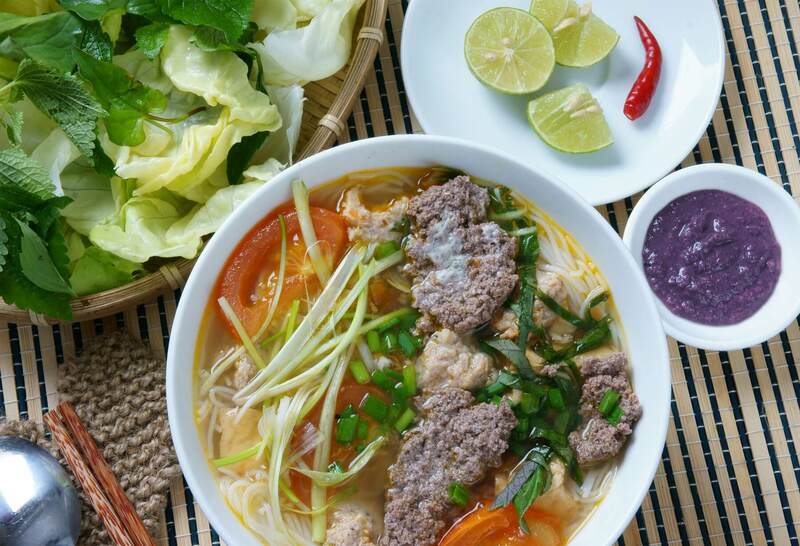 With such a diverse pallet of flavours, Vietnamese cuisine is spicy, sweet, savoury and punchy. We need something versatile here, something that will absorb all those flavours and just coast along for the ride. Your best bet is a dry rosé – many examples have inherent ginger spiciness along with the mild fruit flavours, plus heaps of mouth-watering acidity to keep things fresh. Some richer dishes will also work well with Pinot Gris, which can have a lovely oily texture to complement richer sauces. Just avoid any that might be sugary sweet. Now that you've got your date night in sorted, time to sort out the gift for your hunk of love. Have a go at our fun palate profile quiz here and we’ll recommend three bottles that we think you'll love according to your results!